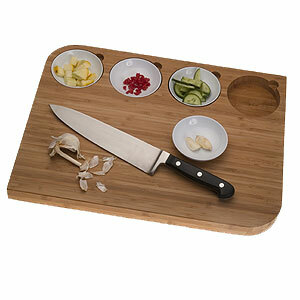 Chopping boards are an essential item in any kitchen. Why not make them a stylish and practical addition to your kitchen? Here are 5 of our favourites that we have found. 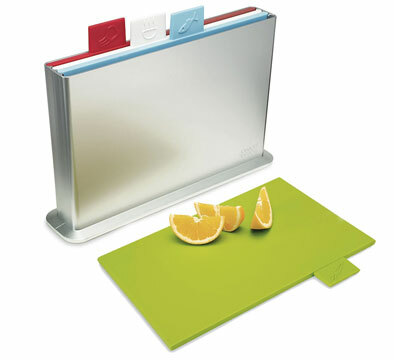 It’s practical- colour coded to avoid cross-contamination and just looks great– available at MoMA. I’m sure you can find it locally in your area also. Another great design, which is practical for those of us who are (sometimes) a little clumsy, is this one also from MoMA. 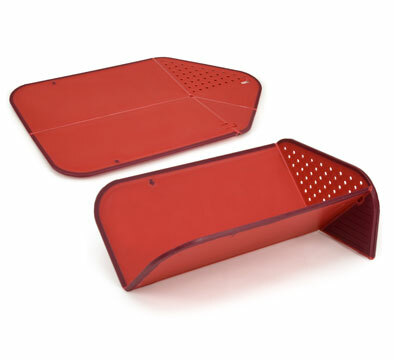 It can be used flat for chopping, then folded for pouring or rinsing, with its colander end. Super practical! If you are the kind of chef who likes to prepare your ingredients separately (like on your own cooking segment-move over, Nigella) then you can’t go past this design made from bamboo & melamine bowls. It’s from from Top 3 by Design here in Australia. 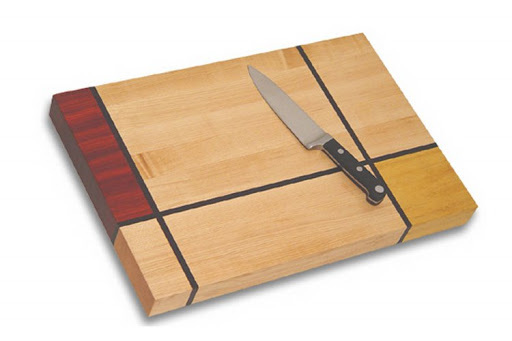 If you are into art- here’s a Mondrian inspired design which would look great on a bench top. From Ken Goodwin Design. 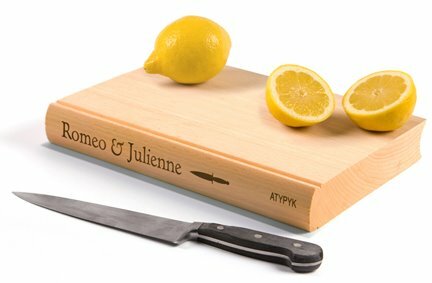 Finally, if you are an avid reader, or would like to find a gift for someone who likes to cook & read, then what about this? It’s in a lovely solid wood, and would fit right in with your cook books. Find it here. Pick your favourite and enjoy your kitchen prep a little more!